Does Alcohol Rehab Work - What To Expect And Is It Worth It? / Does Alcohol Rehab Work – What To Expect And Is It Worth It? Does Alcohol Rehab Work – What To Expect And Is It Worth It? Going to private rehab for treatment for alcohol and drug misuse is considered the ultimate solution in the business of dependency rehabilitation. People addicted to alcohol are of course advised to look for treatment options and the law courts frequently require inpatient or outpatient treatment for those who are up against judicial problems because of their alcohol use. But, Despite its recognition as being the ultimate option, lots of addicts are doubtful that therapy does works. Many people question whether putting in the time and cash demanded to stay in a private rehab facility is really worth it. I can stop anytime I want! Many others overstate their own power to manage their drinking problem and stick fast to the idea that they can stop any time they wish. Even though they have stopped by themselves previously and fell back into dangerous drinking patterns, they argue, they could quit if they had to. Nonetheless, other people have been very vocal about going to rehab, and it failed to benefit them, so they have quit looking for advice completely. Despite the explanation, some alcohol abusers have an easy time accepting a problem and acknowledging the efficacy of rehab. In the US there are over 24 million people struggling with dependency on alcohol and or drugs. Of them only around ten percent will consider getting some help. Most people never get help! For people having a hard time with their drinking, an inpatient alcohol rehab is an option (if they have the resources). With the funding to support individuals through periods of withdrawal. And help build a more positive point of view on daily life in general. The correct therapy facility can definitely make a big difference. Lots of people have been helped through private alcohol rehab. However, it must be mentioned that many more have spent a lot of money to get absolutely zero improvements. A client of the Stop Drinking Expert program joined after spending over $35,000 on inpatient rehab. The day she got out, she opened a bottle of wine! The short reply is in some cases, yes, but the most significant element is your commitment to it. Rehab is quite effective for lots of alcohol afflicted people, resulting in years of abstaining and happy lifestyle. For other people, however, it is less so. Rehab is a profoundly private experience that does not deliver the same outcome for everybody. You can picture a client who undergoes therapy to placate members of the family. They have hardly any motivation to get the best from the method and furnish themselves with the capacity to stay away from relapsing. For people who really want to get clean and stay clear of relapsing, rehab provides a solid mix of resources tailored to offer help, treatment, and advice through this difficult period. In contrast to the problems that come with trying to stop drinking on your own. Rehab facilities offer ongoing access to physicians, nurse practitioners, and therapists to make the venture a bit more convenient. However, there are some serious negatives to consider. Obviously, the price is prohibitive for most people. Insurance may cover it but declaring yourself an alcoholic to your insurance provider may render your policy all but worthless. The other major downside of private alcohol rehab is the requirement to take an extended leave of absence from work. How are you going to explain that to the HR manager? Do you really want to inform your boss that you are an addict? Rehab isn’t a one-size-fits-all option, and varied types of treatment are offered. Several alcoholics will see differing degrees of effectiveness from one course to another, so it’s essential to take into consideration all alternatives. 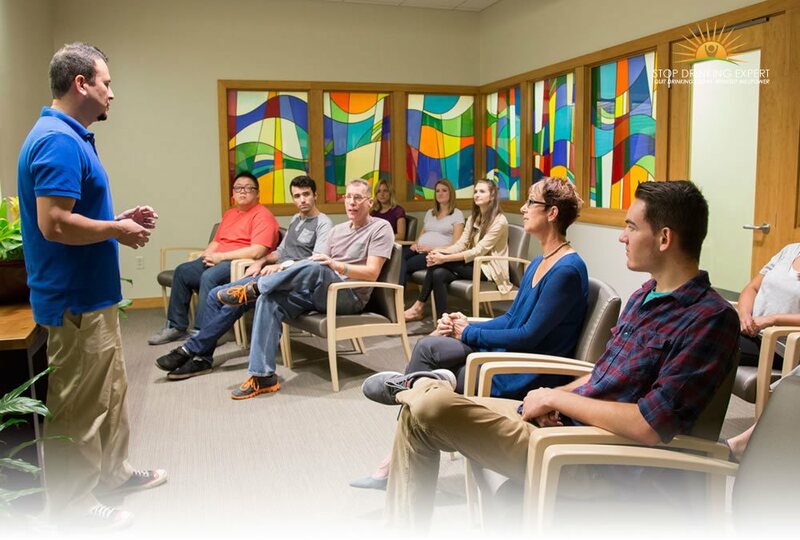 One of the most typical types of treatment for addicted people, extended inpatient therapy offers numerous benefits. In this environment, clients will remain in a non-hospital therapy facility for a month or more, overcoming withdrawal and the adverse effects of addiction. A reduced type of extensive inpatient treatment, temporary rehab frequently lasts from 3 to 6 weeks and makes use of a revised type of the 12 Steps. Many temporary courses are followed by comprehensive time in clinic treatment. Clinic treatment, or therapy from substances or alcohol that occurs while staying in your home and traveling to a facility, provides a versatile substitute to expensive inpatient rehab. Nevertheless, clinic solutions are frequently difficult for people to stick to and operate a lot more efficiently along with other treatments. Although there’s no best solution to the matter of alcohol rehabilitation, client outcomes are likely to be better when the suitable therapy is handpicked for the client. Rehab isn’t a silver bullet that helps everybody or continues permanently. Actually, rehab is only as successful as you are prepared for it to be. The frame of mind is a huge component of effectiveness in therapy. Those who go into therapy reluctantly or who think therapy is a wild-goose chase are less likely to see any long-lasting results. Rather, these kinds of clients are much more likely to go back to old routines inside few weeks or even days of leaving a therapy facility. Relapsing rates are incredibly elevated amongst people who do not believe rehabilitation can work, making an expensive break in an inpatient rehab facility quite pointless. Clients that are successful are those who genuinely wish to be clean. Teetotalism is a long-lasting obligation that will never be completely effortless. So without having a commitment to results and the determination to get through the toughest components, it’s not likely that any therapy, regardless of its type or functionality, will make a genuine improvement. When people get into trouble with alcohol there is often only two promoted solutions. You either go to AA because it’s free or if you can afford it you go into private rehab. However, Craig Beck the Stop Drinking Expert proposes that there is a better, more logical way to deal with problem drinking. 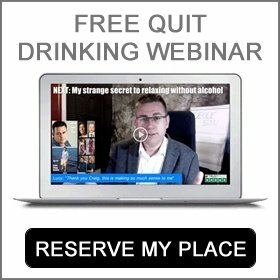 Click here for more information on his how to stop drinking program that has helped over 50,000 people to escape alcohol addiction quickly, easily and without expensive rehab.